Gavin was 6yrs old when he got an Enlarged lymph node in his neck. We went to the emergency room and were given antibiotics for an infected lymph node. It didn’t get better with antibiotics and grew to the size of an orange. We then returned to the emergency room and were admitted to a local children’s hospital branch; we were there for six days with no diagnosis. Finally, we had an intern who thought it might be Kawasaki disease, and we were transferred to Children’s Hospital Colorado where they had specialists. It did indeed turn out to be Kawasaki Disease, diagnosed on day nine from the initial ER visit. 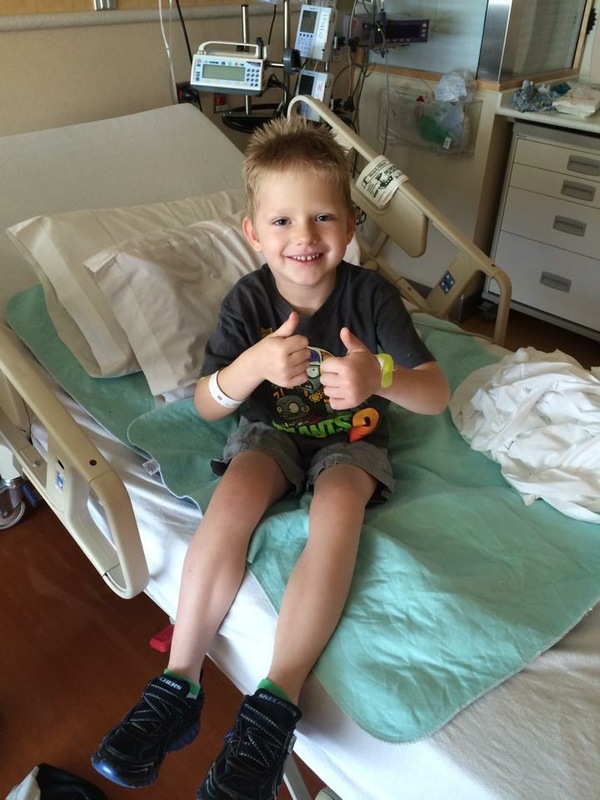 Gavin’s only symptoms were the lymph node and a lacy red rash that developed since being hospitalized. There were some very scary moments like right before his infusion, all he could do was sit in his hospital bed and cry, while on oxygen. Luckily, so far he has no lasting effects, and his heart looks good.